Inmarsat has announced details of its forthcoming Maritime Safety Data Service (MSDS) for Fleet Broadband. Leading shipping management software house BASS has launched the patented BASSnet 2.9 fleet management system. 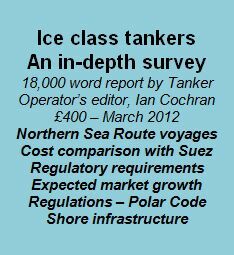 The market for maritime satcoms services for ships and indeed tankers is moving fast. 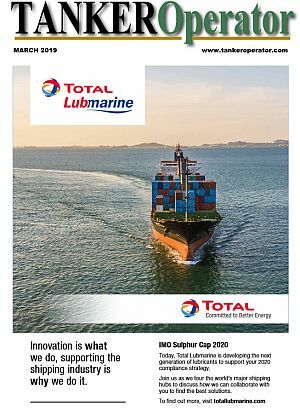 As can be seen from our Satcoms feature on pages 26-32 May TO issue, it is now much easier to send electronic data to vessels, as the satcoms service providers are increasingly offering more bandwidth and transmission speeds at little extra cost. What is claimed to be the world’s first real time buying and selling marine fuel platform was launched by Cyprus-based newly formed company Bunkering at Sea (BAS) last year. Maritime communications network operator and hardware supplier KVH is planning further co-operative deals with software service suppliers to deliver applications over the mini-VSAT Broadband service. Maritime satellite antenna manufacturer Intellian has introduced several new initiatives to enhance communications on board ship, both for operations and crew leisure. Charity begins at home – or does it? What happens when you are abandoned on a vessel for a considerable period of time and thousands of miles away from home and your family? Since its involvement in the maritime sector at a very stage in its 40-year plus history, satellite communications provider SSLGlobal has installed systems on around 700 vessels. Several new initiatives were shown for the first time at the recent Nor-Shipping exhibition held just outside Oslo. Globe Wireless and Italian satcoms provider Arimar have entered into a long-term cooperation agreement to provide the company’s products and services to Italian flagged vessels.